In this webinar, we will outline and describe steps to help develop a Hispanic ministry at your parish. Presented by nationally known bilingual/bicultural clinician, composer and performer Pedro Rubalcava. Pedro Rubalcava is a nationally known bilingual/bicultural clinician, composer and performer with expertise in various musical styles. He has been directing liturgical music groups for more than 40 years. He has been working in professional pastoral ministry in various areas, including liturgy and music, evangelization, youth and young adult ministry, catechetical ministry and RCIA for the past 31 years. Pedro received national recognition in 1990 when Amanecer, his bilingual music collection, was nominated for a Grammy award in the Best Mexican/American Performance category. Currently, Pedro is the Director of Music Development and Outreach for OCP. 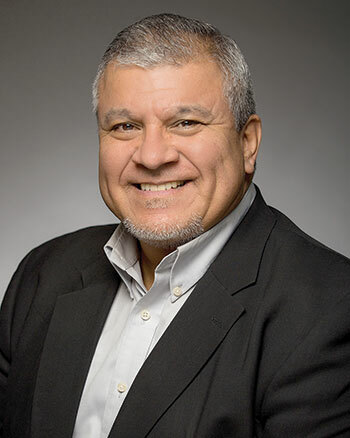 He also serves on the executive boards of the Instituto Nacional Hispano de Liturgia (INHL), the National Council for Hispanic Ministry (NCCHM) and the Northwest Regional Office for Hispanic Affairs (NWROHA).